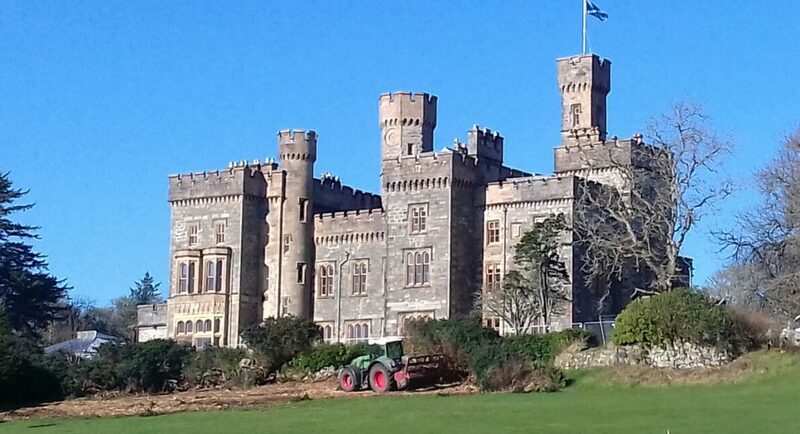 Our Castle Grounds Regeneration Project is continuing apace. 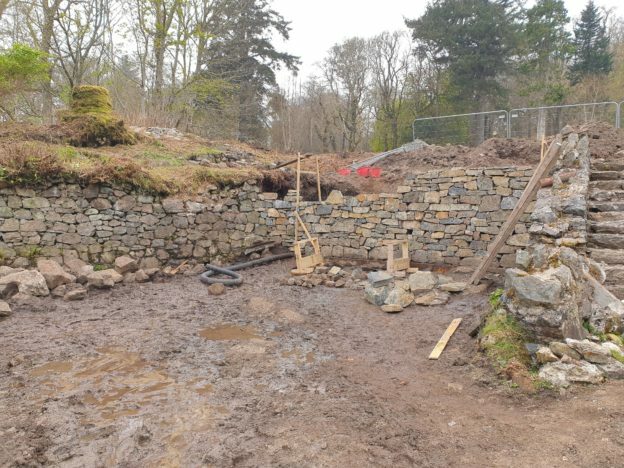 Great progress is being made by the stonemason on the Sunken Garden wallends. Scaffolding structure to protect the Boatmans Tower while it is being repointed is almost complete. Breedons are also making excellent inroads with the drainage and path works. This entry was posted in news on April 18, 2019 by TSTYWPAdmin. 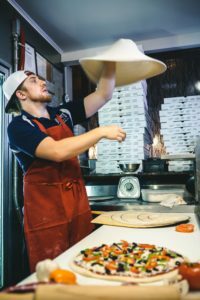 We have a new Pizza Oven at the Woodlands Cafe! This entry was posted in news on April 16, 2019 by TSTYWPAdmin. A number of instances of vandalism in and around the Castle Grounds, resulting in damage to Trust properties. Talks are continuing regarding the location of this proposed Salt Barn, in conjunction with Comhairle nan Eilean Siar. Trustees noted that projects had received the initial payment from the 2017 fund, but that subsequent payments cannot be made until PSDT transfers the awaited 2018 tranche to the Stornoway Trust. The outcome of negotiations with HIE is eagerly awaited by Trustees. Trustees noted that the Scottish Land Court had rejected HIAL’s application, instead finding in favour of the respondents (Melbost and Branahuie) who claimed an existing interest in the land, which they believed to be under crofting tenure. It is expected that HIAL will appeal the decision. Trustees approved the terms negotiated with Scottish Water for the two sites required for the installation of the new water main. Trustees noted that the Crofting Commission had refused the hostile 50b application on the grounds that it would be detrimental to the landlord. The appeal period runs for 42 days from 24 January. Trustees noted that the Crofting Commission and the Stornoway Trust had had made further representation to the Scottish Land Court in response to the appeal lodged by the three twnships. Trustees were pleased to see the WISFB reestablished under a new management team, having obtained the statutory consent required from the Sheriff, the previous board having fallen into abeyance. 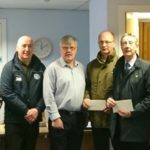 The meeting welcomed news that the £55k of grants committed by Peter Crone and Michael Huntingford of the Pentland Wind Farm have now been paid out to thirteen local groups, as part of a three-year commitment. Trustees were informed that the Scottish Land Court has now set dates for a hearing of the objections raised against the proposed Druim Leathann Wind Farm. Trustees were pleased to see plans for the above project, proposed for a site on the Arnish moor, making good progress. Trustees welcomed the cooperation between the Knock & Swordale grazing committee and Lewis Wind Power in this project. It was noted that the Castle Grounds Ten Year Management Plan is in the final stages of completion. The plan will then go out for consultation for the statutory twenty-eight day public notification period. There may be scope for other opportunities under WIAT, outwith the Castle Grounds., but in the Stornoway area. 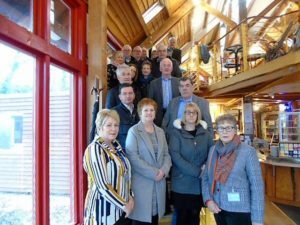 Having discussed the fact that Colin MacLean had not been a regular attendee at meetings, leaving the Stornoway Trust under-represented, Trustees agreed that Catriona Murray should replace him on the project board. Trustees agreed that the new site should go live as a work in progress, rather than waiting until every section had been populated. This entry was posted in news on March 7, 2019 by TSTYWPAdmin. Contractors are busy clearing the scrub from in front of the bastion wall today. 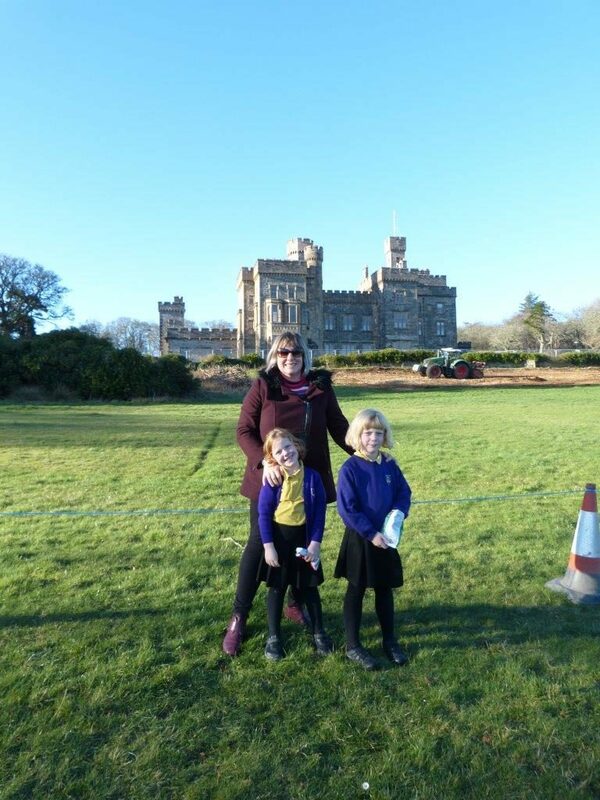 Stornoway Trust Project Officer Jo Bagrie with her daughters Rowan (7) and Avery Brannigan (5) inspecting the newly cleared Castle Green. Please fee free to ask Jo questions about the project if you see her around the Grounds. She will usually be the one in bright neon! This entry was posted in news on March 6, 2019 by TSTYWPAdmin. 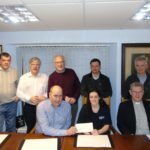 Pentland Wind Farm has recently committed £250,000 to the local community. 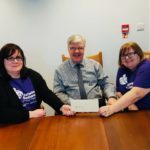 They received their cheques from Stornoway Trustees, who nominated groups representing a range of activities across the islands to receive much-needed financial support. The Pentland Wind Farm has a generation capability of 18mw. This is currently capped at13.8mw due to restricted capacity on the local grid, which also has to accommodate anumber of community turbines. As a consequence, crofters with shares in the Stornoway General Grazing, receive an annual rent from Pentland, currently at £59,000 plus uplift, (which averages £20,000 p.a.). This is set to rise to £76,000 plus uplift with the creation of an interconnector. 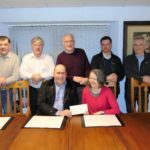 The Western Isles Development Trust also receives a community benefit payment from Pentland Wind Farm, which varies with output, but is not less than £20,000 per annum, and rose to £54,000 at its highest so far. This entry was posted in news on March 5, 2019 by TSTYWPAdmin. 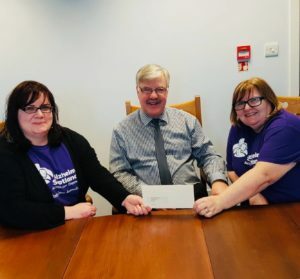 Iain MacIver, our Factor, handing over the cheque from the Pentland Wind Farm to Alzheimer Scotland (Western Isles) earlier today. Trustees were delighted to nominate this very worthwhile cause. The next full meeting of The Stornoway Trust is due to take place on Monday, 25th February at 5.30pm, in the Estate Office. Trustees will be discussing a range of items, including the Castle Grounds Regeneration, progress with the PPLG project at the nursery, and a range of applications relating to land – including purchase of land, applications for feus, and applications to sublet croft tenancies. An update on progress with items of public interest, and – as usual – a list of all trustees in attendance, will be made available shortly after the meeting. 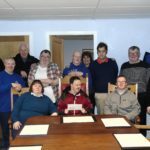 The Stornoway Trust met on 25th February, 2019 in the Estate Office, Perceval Square, to discuss an agenda of 28 items. Trustees in attendance were: Norman A MacIver (Chair), Donald Crichton, Calum MacLean, Donald MacLeod, Catriona Murray, and Donald Nicholson. Apologies were recorded from Murdo F Campbell and Alex J Murray. 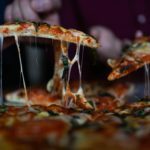 A range of items were discussed, many of which are confidential. However, we will post individual updates on each of the matters of public interest shortly, beginning with a progress report on the Castle Grounds partnership project. Other items will be: the Stornoway Trust nursery, an update from LWP, and sundry other topics where there is less to report, but which the public may be interested to know is under discussion. The development of the Stornoway Trust nursery continues apace, Trustees heard at their February meeting. 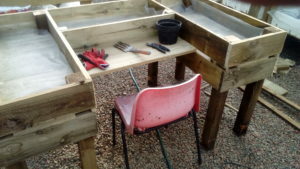 Thanks to funding from the People’s Postcode Lottery, the project team has been able to construct new benches for the polytunnels and cold frames, which has facilitated planning for greater plant production. The polytunnels have been upgraded with new parts, and new or repaired doors, which have improved ventilation for the plants and provided a more comfortable working environment for our service users. New equipment has also been purchased, encompassing some basic gardening tools required by the service users, but also a new heated water propagation unit and a heated bench. The funding has also enabled good progress with restocking – there are now more than 1500 young native saplings, and almost 2000 cuttings, which cover a wide variety of species. In addition, there is a quantity of seed which has been sown and is awaiting germination. While the site still requires quite a bit of improvement, some advance has been made with the drainage system – new drainage material and repairs to the water pipes having made a significant difference. This funding has enabled the Trust to improve facilities which are directly provided for our service users. A new polytunnel for their exclusive use has been provided, which they are very pleased about. There are also plans to use some of the money to upgrade the toilet facilities and hot water provision for our service users, to ensure a more comfortable working environment. 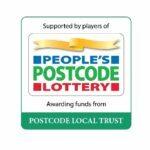 The Stornoway Trust is grateful to the People’s Postcode Lottery for its help in funding this project.